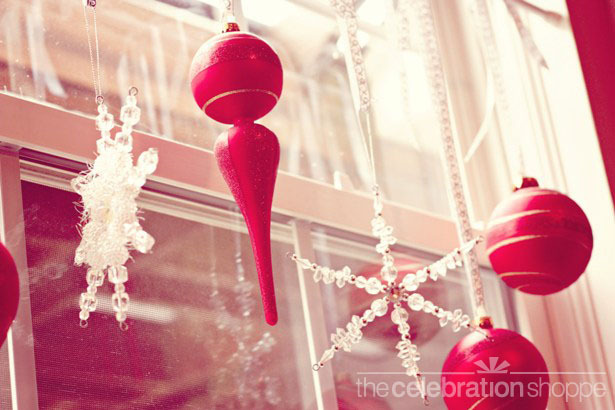 If you have too many Christmas ornaments for the tree, or just love to decorate with Christmas ornaments, you can create a Christmas ornament curtain like this one from The Celebration Shoppe to display them in your house and to your neighbors. 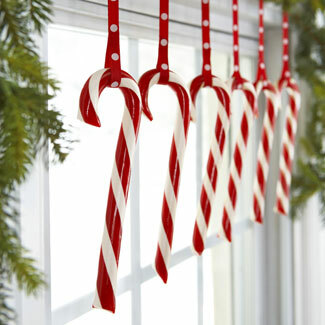 And if you don't have extra ornaments, you can always display candy canes in the window for an inexpensive but pretty Christmas decoration. Hey, I just did this and showed it on my blog last week. Love the idea. These are awesome ideas. Glad to have found them, and will deffinately be using them. So simple to do.